The Somerville School Gardens co-managed by the Somerville Farm to School Project and Groundwork Somerville. Community volunteers, teachers, parents, and students assist with maintenance and participate in programming. 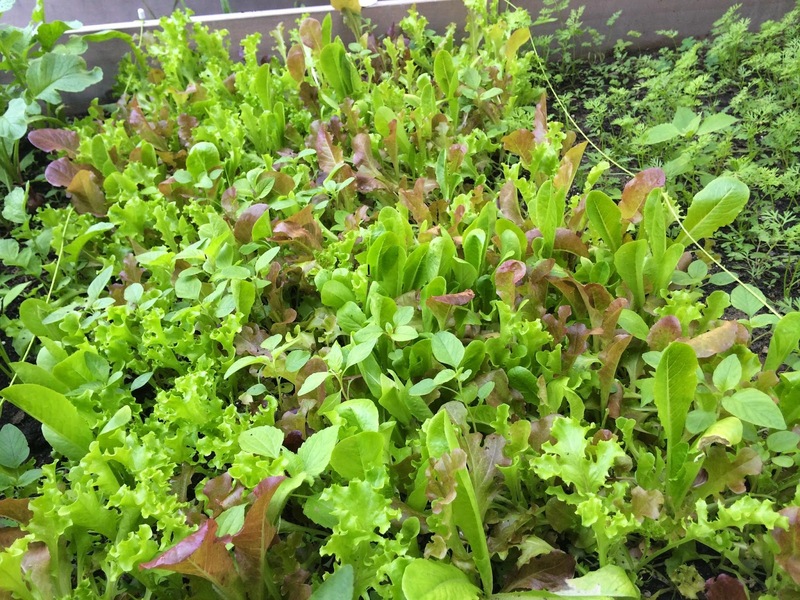 A field of yummy mesclun at the Brown School! 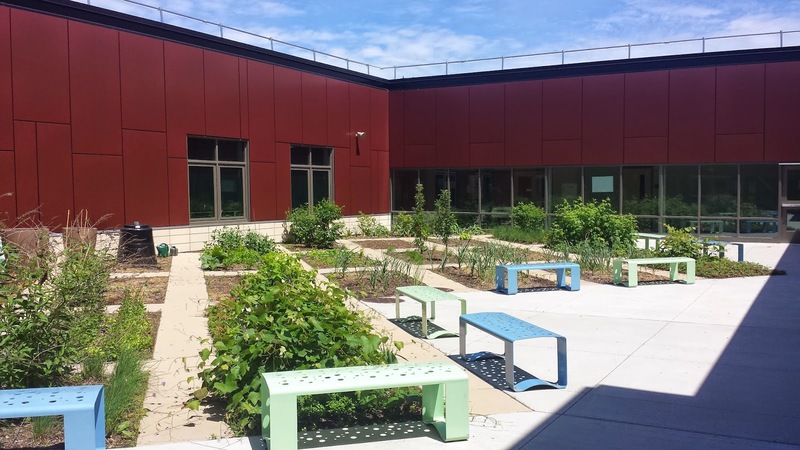 Best thing about the garden: It's visible from the street and school, brand new beds and a great water connection. Plants: vegetables of all types - tomatoes, carrots, peas, beans and more! 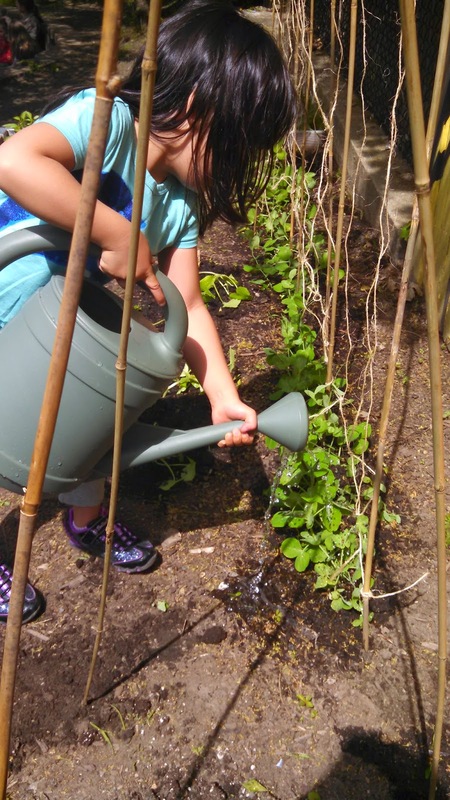 Maintenance: Community and parent volunteer support; Groundwork Somerville Educator visits, Green Team visits throughout the summer and into fall. How is it used: Urban Ag production for mobile market, transitioning to increased use by Full Circle/Next Wave schools. 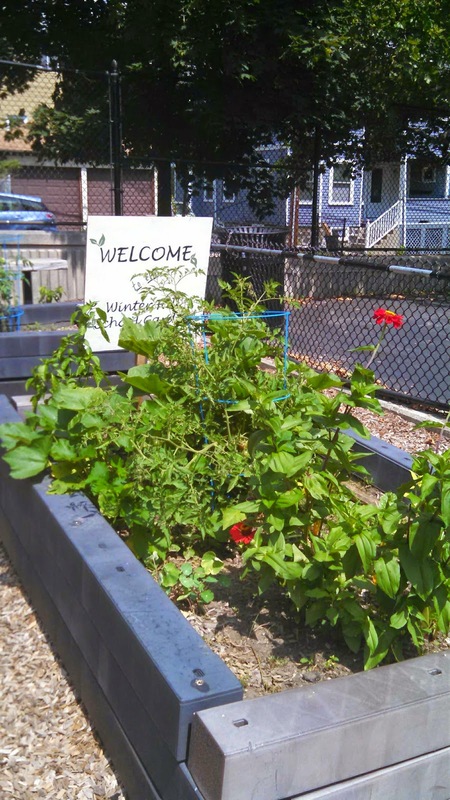 Somerville High School Garden is planted, maintained and harvested by the High School's Green Club. How is it used: The Groundwork Somerville Green Team used the garden produce for Somerville's Mobile Market. 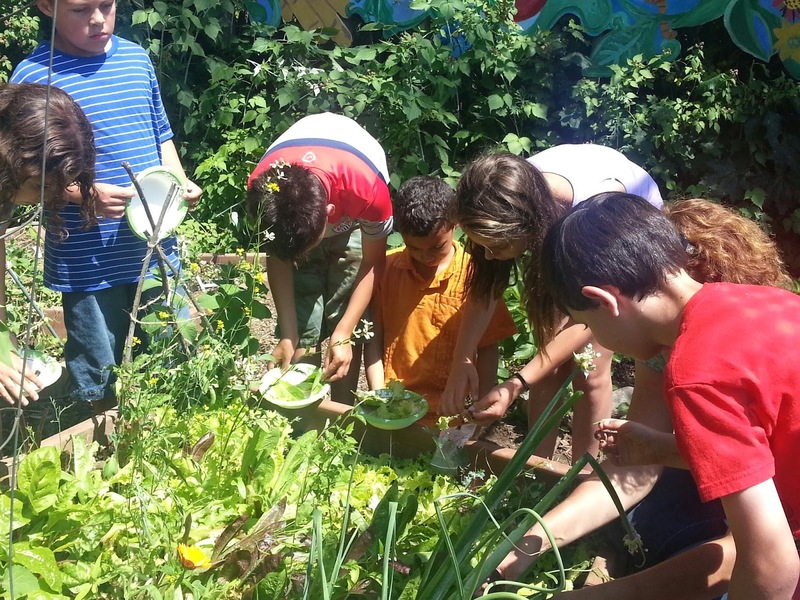 Community volunteers maintain and harvest from the garden. If you have questions about a specific garden please email Karyn Novakowski, Farm to School Project Director, (knovakowski@k12.somerville.ma.us) so that we can put you in touch with the right people!